The Insta360 Air ($129; reviewed here) is a 360 camera accessory for Android phones. 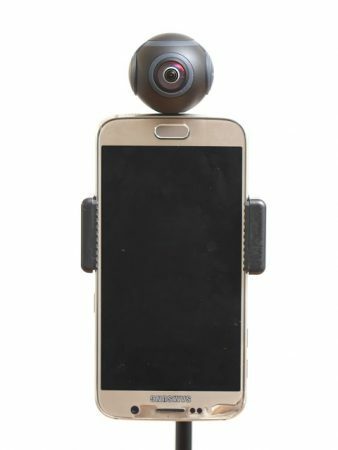 It is one of the few 360 cameras that are capable of wireless 360 live streaming (most other 360 cameras cannot live stream, or need an HDMI or USB connection to a computer in order to do a 360 live stream). Here is a comparison between the live stream quality between Wi-Fi and LTE with a cell phone signal only. In this playlist, the first video is a tutorial / demo of live streaming. The second video shows the live stream using Wi-Fi. The third video shows live stream using a 4G LTE cell phone signal only, indoors.